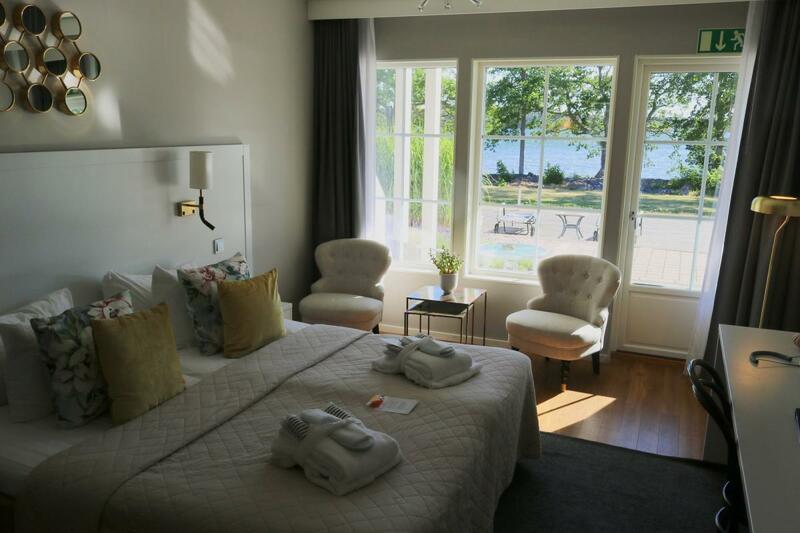 In every trip there is a hotel that leaves a deeper footprint in your memory and while on a roadtrip in Sweden for a month we have visited a lot but sleeping at romantic Gränsö Slott in Västervik has been an incredible experience. 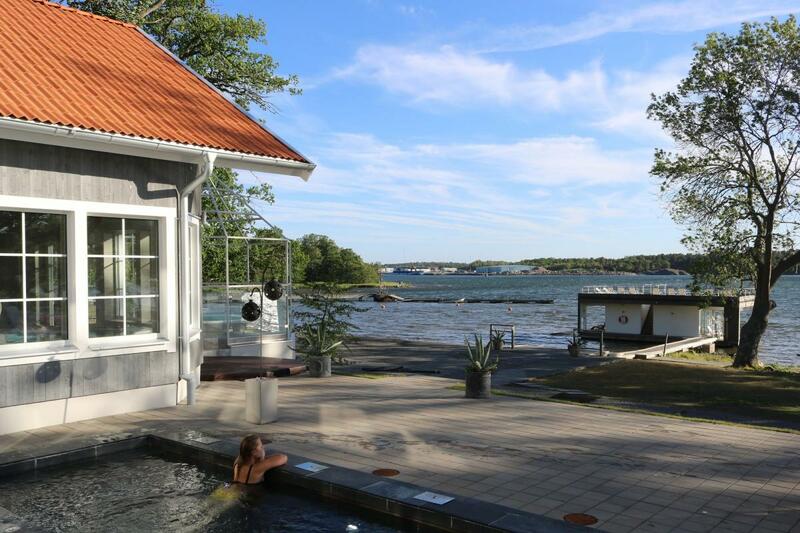 Using the spa area, the jacuzzis or the floating sauna equipped with a stair for diving directly into the Baltic Sea on a sunny summer day surrounded by water and the beautiful nature is just incredibly difficult to explain. Once there, it is easy to understand why Gränsö Castle is one of the few in Sweden in the 4 stars superior category. The landscape, the hotel, all the equipment are wonderfully selected to amaze you. That’s why its motto “Beauty by the sea” fits so perfectly. We arrived to Västervik – in the East Coast of Sweden – after more than a week traveling by car and wanting to relax a bit and charge our batteries to continue our roadtrip. A few minutes after our arrival we already knew it was going to be a great stay because its location and the rooms at a distance of about 20 meters (65 ft) from the sea. 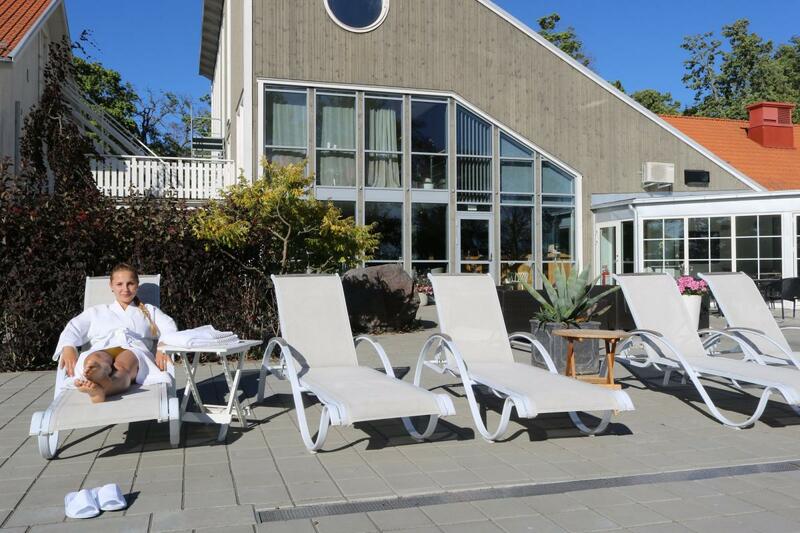 At Gränsö Slott we felt like a couple of tired travellers that found an oasis to refresh themselves both physically and spiritually. 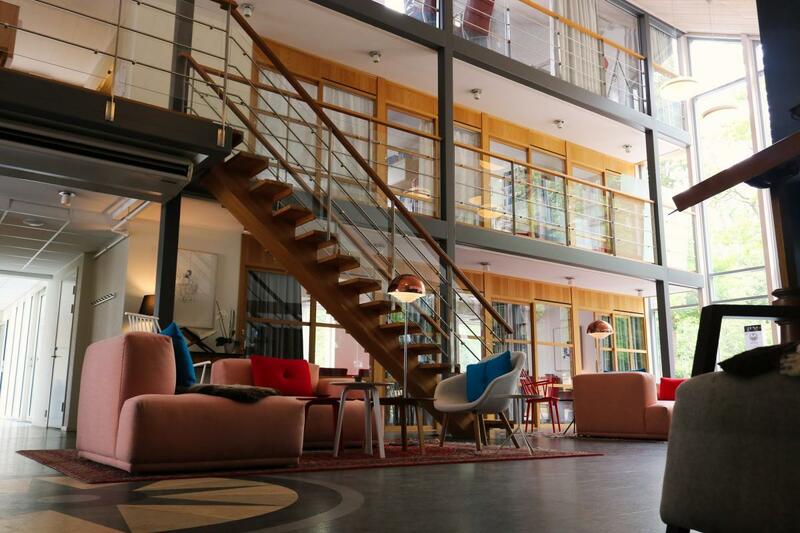 Both the hotel lobby and the corridors emanate a taste for design and are gracefully set up with big windows to lighten up the rooms with the soft summer light. Spa Hotel Gränsö Slott has 48 rooms available. For us opening the door of our room meant entering in “flight mode” and disconnecting of the noisy world outside. So we were quickly in the mood for really enjoying our stay. The room was cozy showing the love for decoration that Swedes carry inside but also offering a very Mediterranean close-to-the-sea style. We thought our room had a terrace attached to it but in the end it was even better … being at ground floor the room lies directly in front of a promenade running towards the pool, the sun loungers, the beach and the sea. So you just step out of your room on your white bathrobe to undress (almost completely) and step into one of the many water options available. 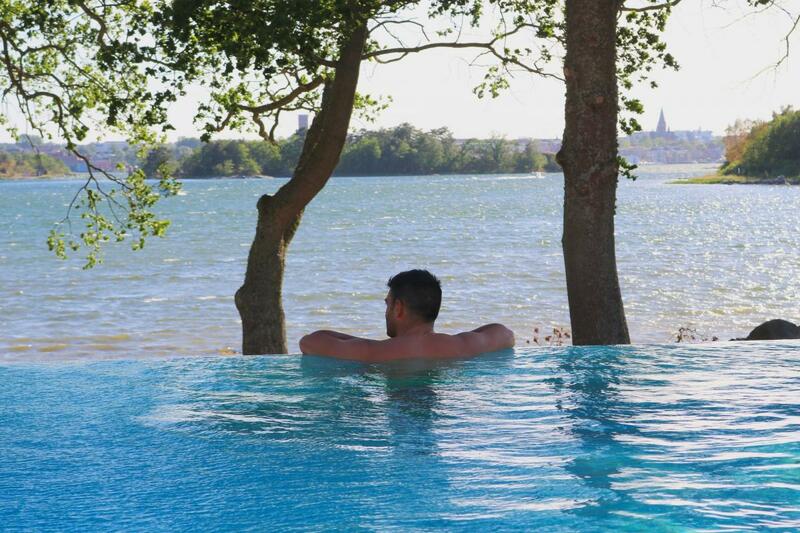 The infinite pool with a view of Västervik is simply wonderful. Next to it there is a pool with the water a little bit warmer. Downwards towards the sea and next to the hotel’s own beach there is a floating sauna and a cold baths house, a waterfront promenade and some sun chairs to sit, sunbathe and relax while having something to eat or drink. During the winter those who dare step out of the sauna and right into a hole made in the ice on the Baltic Sea. Would you dare? 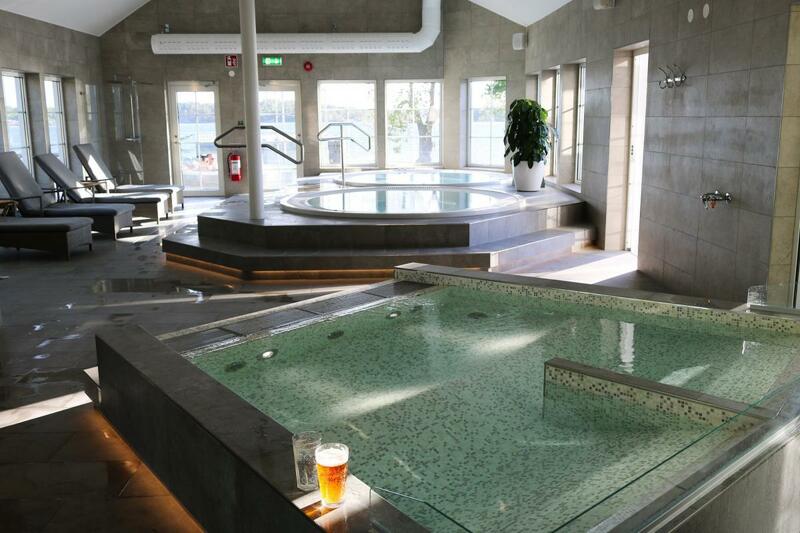 Gränsö Slott’s Spa is 600 sqm (6500 sqft) big and has 8 different kinds of pools at different water temperatures. 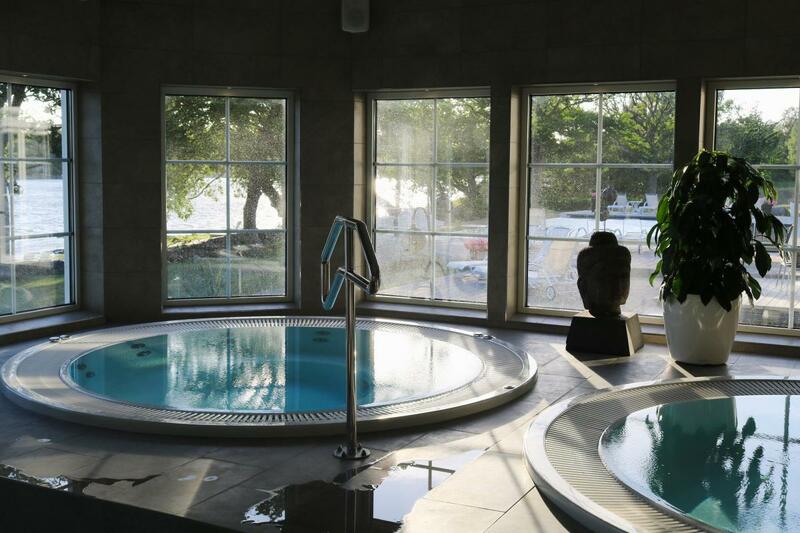 The spa, the thermal pools, jacuzzis and the sauna by the sea make Gränsö Slott a perfect location for a getaway weekend or a relaxing getaway for couples or even as a stop in route through this part of Sweden. They do have Weekend Packages with Spa or Luxury Romantic Packages. Gränsö Castle is located at about 100 meters (330 ft) from the hotel. 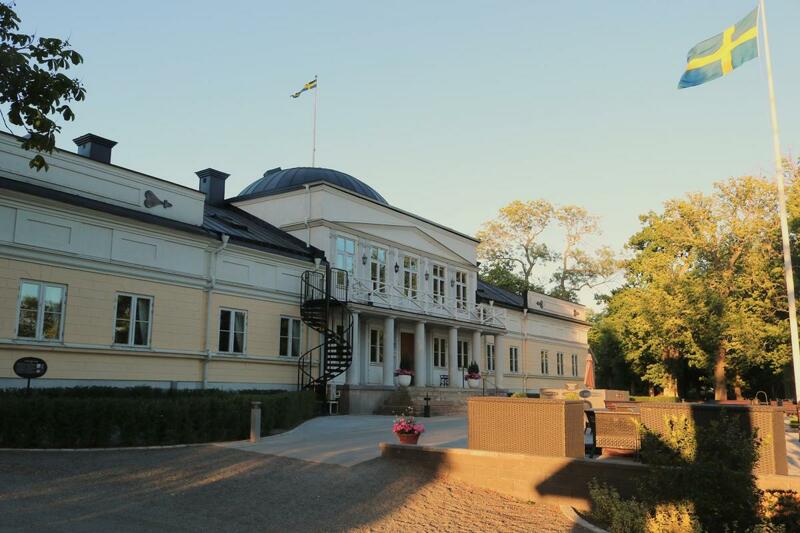 The building dates from 1850 and was built with a facade similar to Rosendal’s Palace on Djurgården Island in Stockholm which was taken as a reference for the construction. Inside the castle an amazing breakfast is served every morning as well as good a-la-carte dinners. There is also a café between the castle and the hotel. 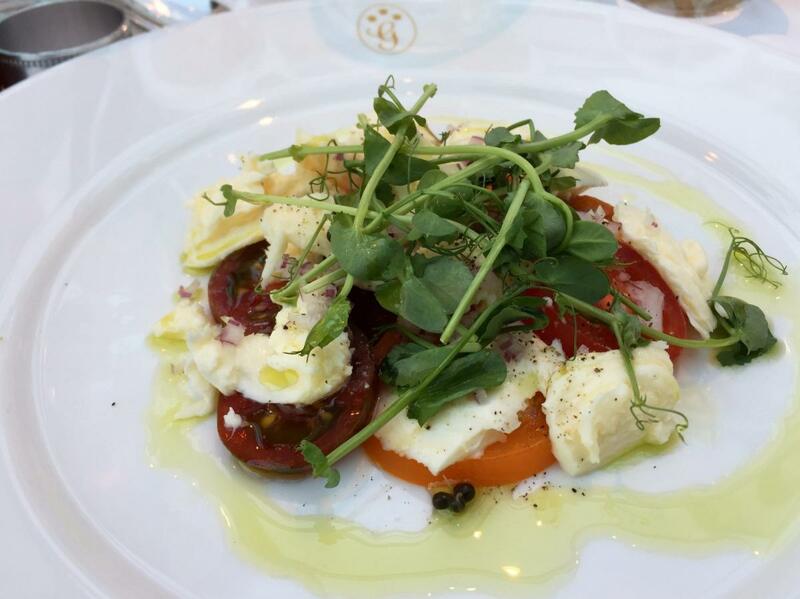 The restaurant is special because of the history surrounding its menus which takes us back to 1739 when Gustav Abraham Piper, a soldier belonging to Swedish Caroleans and very much into food, decided to write a recipe book with traditional dishes and dedicate it to his wife Märta Sture. He succeeded and wrote 248 pages of recipes! Back then during the war poor Gustav had lived out of porridge for years and back in Sweden he took the chance to live out of his passion for gastronomy and cuisine. The book he wrote can be seen at Nordiska Museet in Stockholm and it is one of its kind talking about gastronomy and food habits at castles and manor houses in 17th-century Sweden. Of course, Gränsö Slott has a copy of the book. 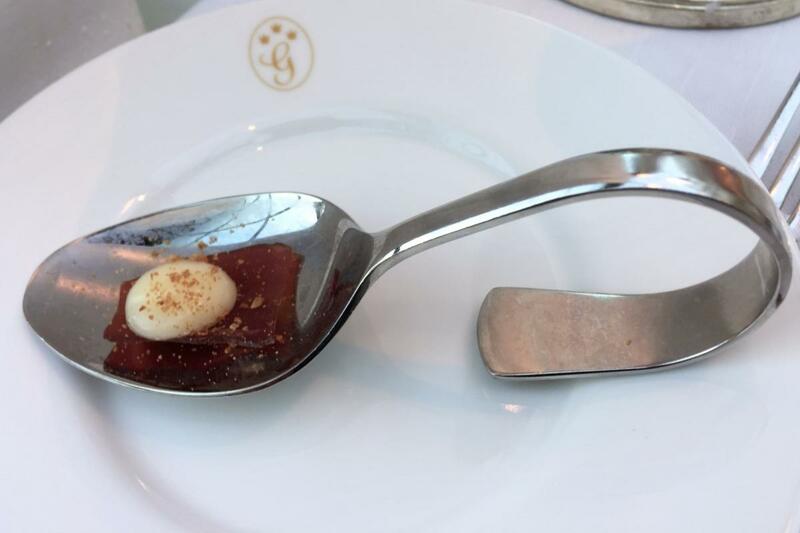 The menu at the restaurant pays an homage to this passioned man thanks to dishes based on smoked duck breast fillet, crab soup, pike paté and other historical delicatessen. There is also a selection of international dishes available. 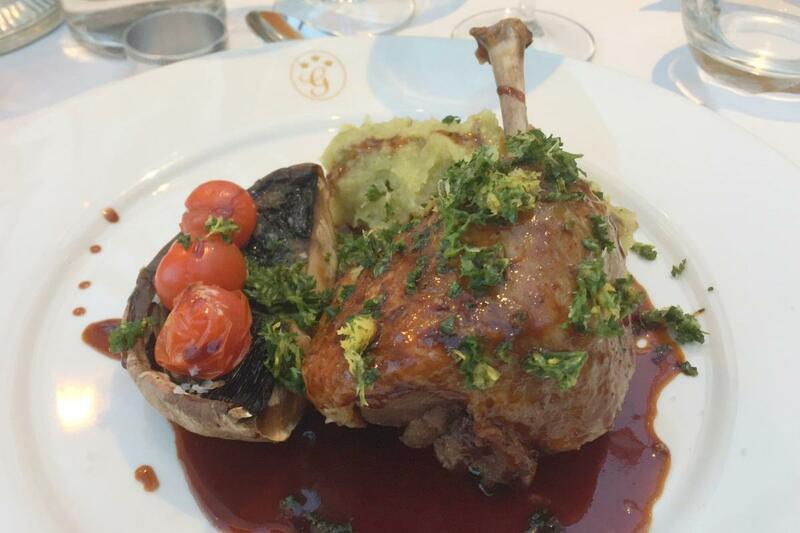 Price around 50 € ($60 / £45) per guest for a starter to share, a main course, a glass of wine and a beer. Gränsö Castle is located at the homonymous peninsula 10 minutes away by car from Västervik city center and next to a natural reserve. Interestingly you will not find any barriers preventing strangers to step into the area between the hotel and the sea. 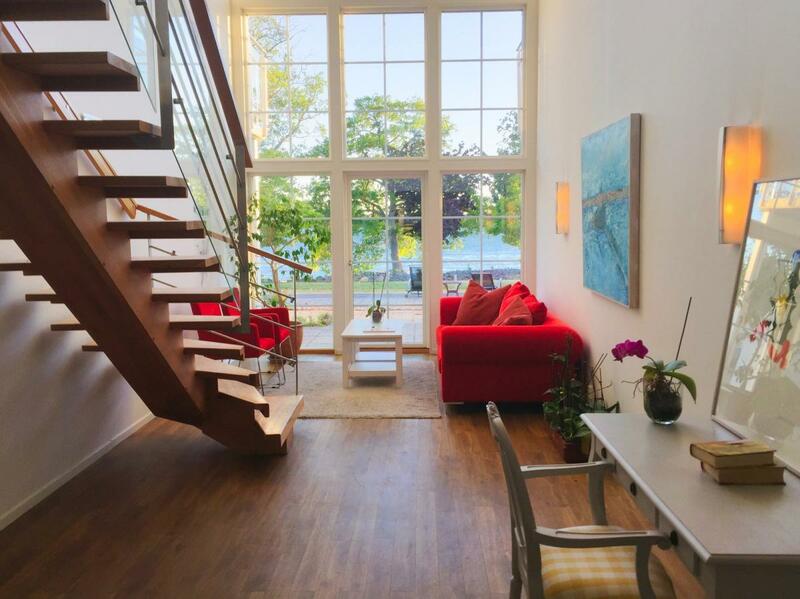 This is so on purpose because it allows for people in Västervik and walking in the area to go through the hotel facilities and this helps create an open space for tourists, guests and locals. If you make it to this part of Sweden you must sleep here. You are going to enjoy Gränsö Slott the same way over 100.000 visitors do every year. 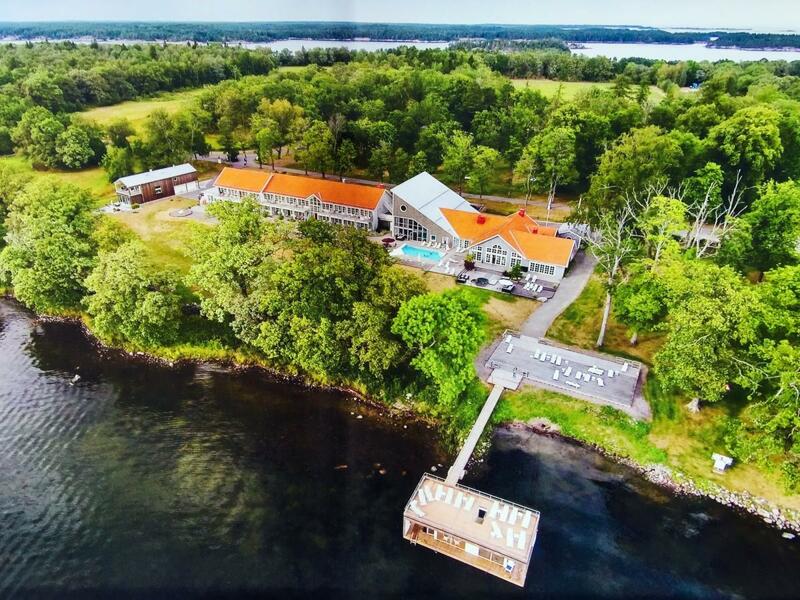 Check below the price to spend some nights at Gränsö Castle as offered by Booking.com. 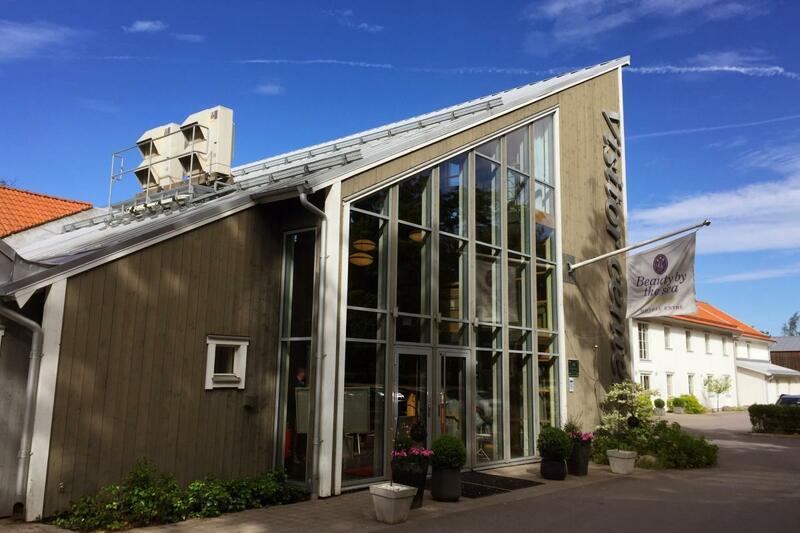 Västervik, between Kalmar and Norrköping, is a city well worth a visit and so is the archipelago at its coastline. 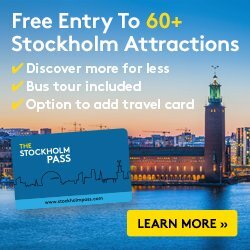 You should add it to your to-do list if you are planning to travel between Malmö or Copenhague and Stockholm and want to discover the East Coast of Sweden*.